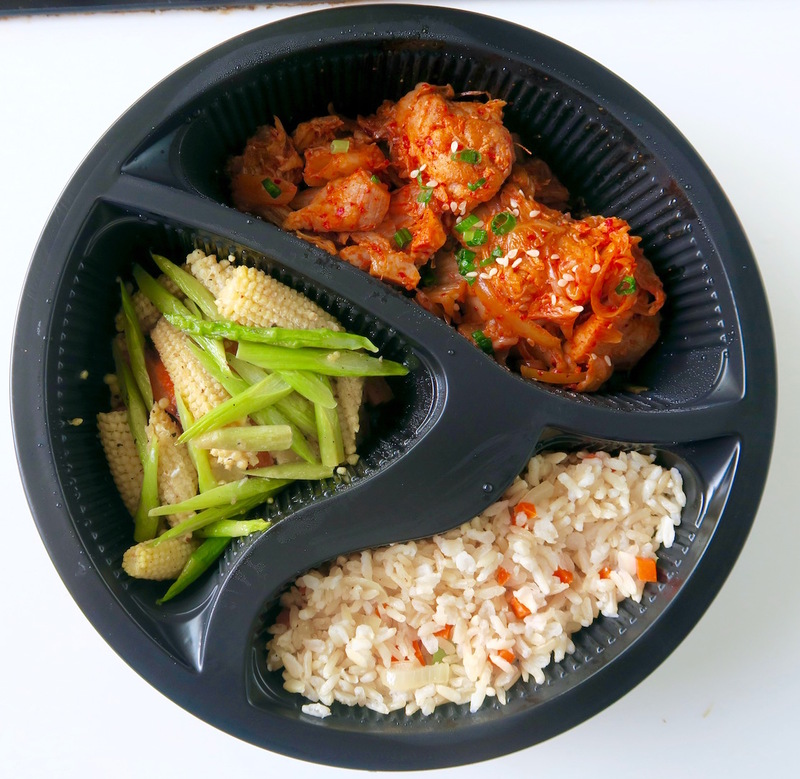 Gone are the days where your bento boxes consist of a massive portion of fatty fried meats, soggy rice and no veggies. Nowadays there are meal delivery services that are delicious and healthy! 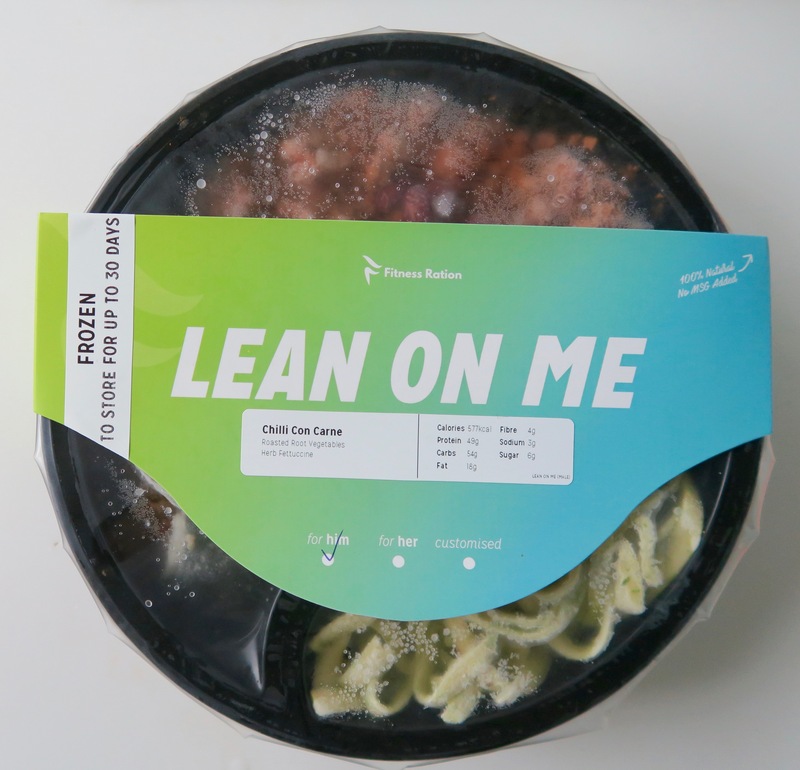 I tried four meals from Fitness Ration and was pleasantly surprised at the quality of the food, despite being frozen convenience meals. 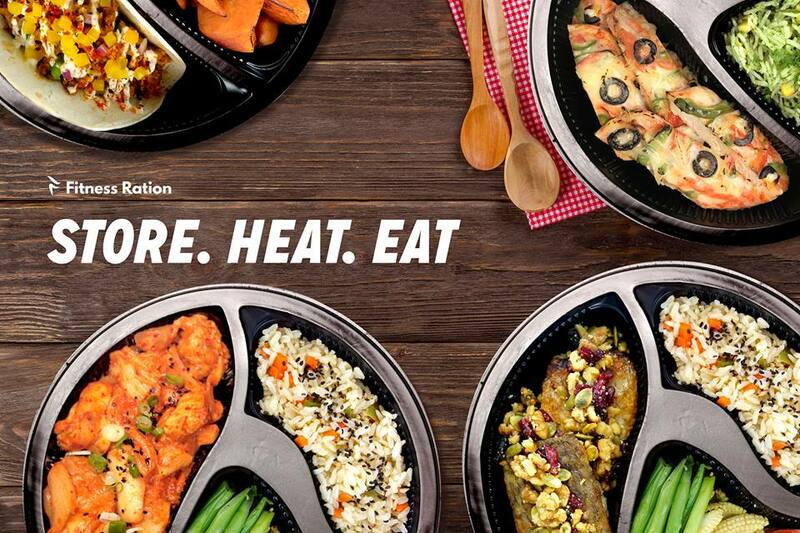 I was totally enlightened to a new world of how delicious frozen food could be with Fitness Ration’s range! 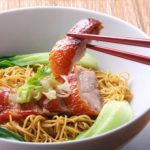 Frozen food can be a great lifesaver for those days you just don’t feel like cooking, or those busy periods in your life when you just don’t have time to cook but don’t want to rely on unhealthy hawker food every day. Frozen food, contrary to myths, can actually be a healthy way to lock in the nutrients of the ingredients. 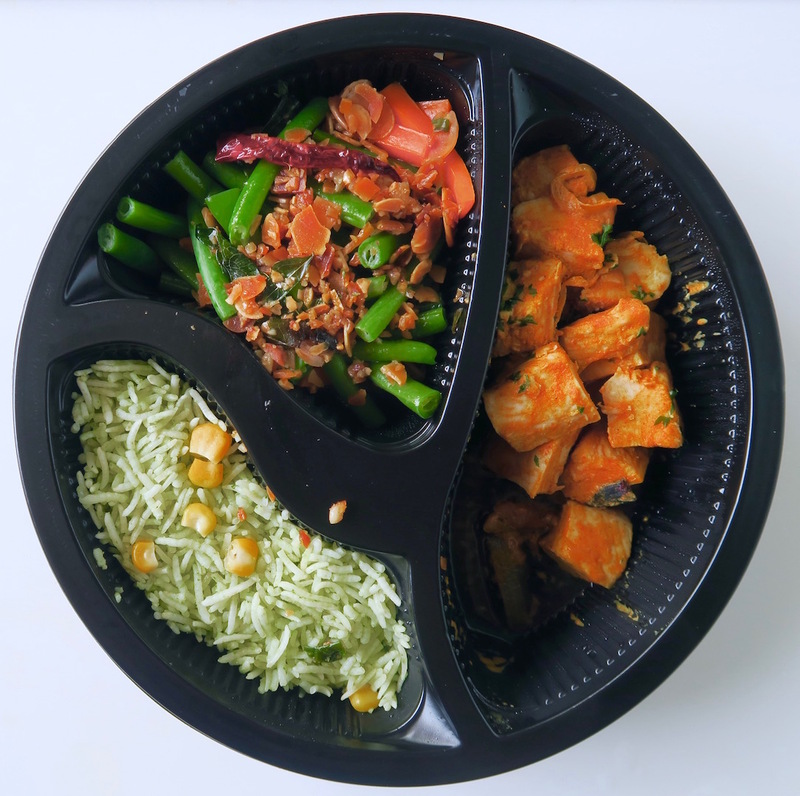 The fusion of cuisines is quite evident from Fitness Ration: from Chinese, to Western, to Indian, and it’s done in a tasty way combining the diversity of the culinary crew. 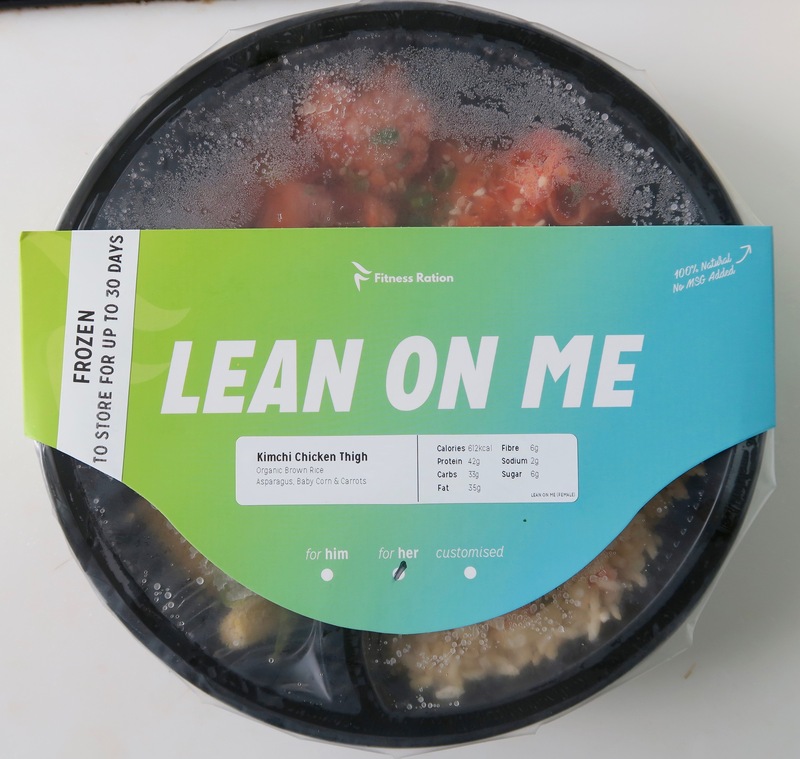 All the meal samples we had were the “Lean on Me” meals. These meals are typically lower in carbs (less than 50g), higher in veggies, and a hearty serving of ~42g protein. This is compared to their “Heavy Duty” meals which are heavier in carbs (70g) for very active people. The protein portion and prices of the two are still the same. 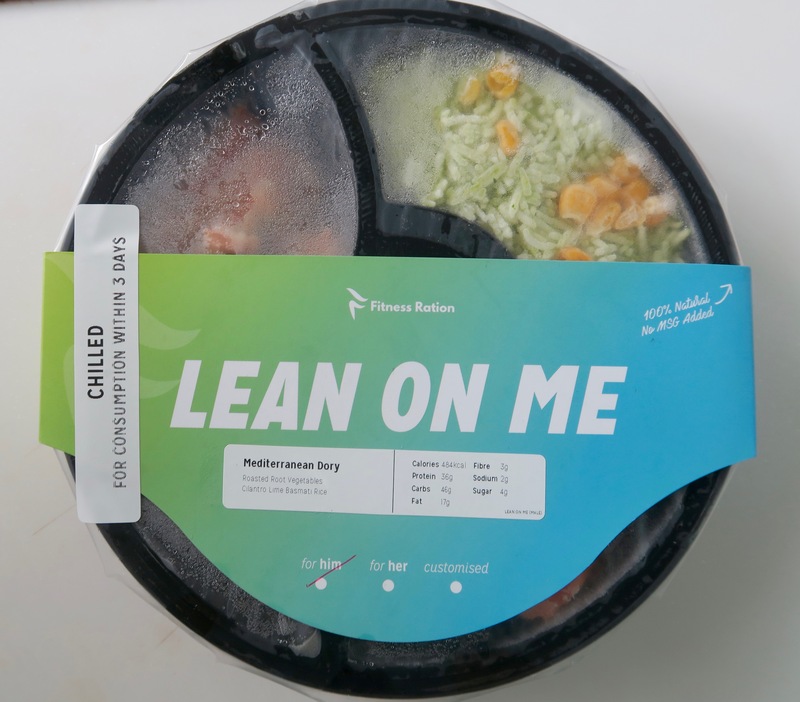 I’d suggest the “Lean on me meals” for the majority of people who are not doing very vigorous workouts regularly (e.g. at athletes’ level). Additionally, meals that you order are separated into “for him” or “for her”, with the latter being a smaller portion. Generally speaking, “for him” meals have slightly more of everything: calories, carbs, protein, fat and fibre. The meals are specifically calibrated according to HPB’s RDAs for nutrients of each gender. This does mean that the females get to pay less: meals are at $10.90 for him and $10.40 for her. There’s free delivery islandwide for a Bundle of 7 meals and above. The more you order, the more perks you get. Not to mention meals can be stored for up to 1 month in the freezer so you don’t have to worry about rushing to finish them. Overall, I found Fitness Ration’s proportions to be very good (mostly focussing on vegetables) and with fresh and unprocessed ingredients. They use mostly low-fat ingredients like lean mince and skinless chicken, and only a touch of butter to flavour their lime cilantro rice. I was also impressed with how flavourful the food was considering it was frozen food. Another interesting thing about Fitness Rations’ meals and the value you get at this price point is that everything is cooked using 100% extra virgin olive oil. They prepare every ingredient from scratch, including their sauces so we can make sure everything is truly all-natural. Ultimately, the most tedious part for most is portion control. They weigh every single ingredient down to the last gram so you don’t have to worry about overeating and still feel full! The curry is very light, and you could definitely tell it’s low in fat. Because it’s so light, the sauce is a little watery; which is expected from a yoghurt-based sauce! Low-fat yoghurt is a great substitute for coconut milk. But I guess using a slightly thicker yoghurt might help make it even more creamy. It still tasted really delicious though! The chicken was a true standout of the bento: it was extremely succulent and juicy for chicken breast, and full of flavour. For those who prefer a mild curry, this was perfect as it’s not spicy. The cilantro lime basmati rice not only had coriander, but also had visible curry leaf, anise seed, and corn. While the rice was a little on salty side, the chicken and veggie sides were perfectly seasoned (not too salty but with a burst of natural flavours from the abundance of generous herbs + spices). The spicy brown roasted almond, French beans and carrots were vibrantly colourful and snap-fresh crisp and juicy. Nothing like what your leftover vegetables would be like microwaved! It was infused with a mild spiciness from specks of curry leaf and Sichuan chilli pepper on it. This is one of the healthiest choices from the meals I sampled. Calorie-wise it’s 514, it has 47g carbs (about the same as a well-apportioned ¾ bowl rice), and 3.5 teaspoons fat. It packs a protein punch, at 41g; evident with the big serving of chicken. The fibre content is sky-high at 7g which is fantastic (thanks to the generous veggies), and ~1 teaspoon sugar (natural and added). All-round a pretty nutritionally balanced meal! As a dietitian I love the Mediterranean diet as it has heaps of scientific evidence to back up its health benefits. 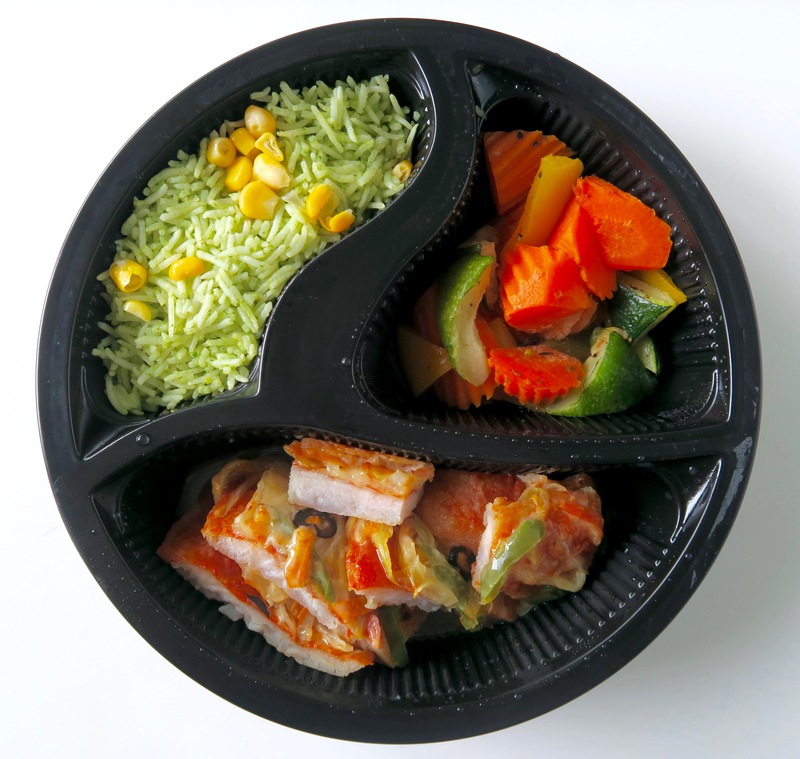 Fitness Ration’s Mediterranean Dory does feature some Mediterranean aspects: plenty of vegetables and use of vegetable oils to form the basis of meals. Fish is one of the main proteins in the Mediterranean lifestyle pattern, with at least two servings weekly suggested. Although basmati rice is one of the healthier (lower GI) rices, perhaps Fitness Ration can offer brown or red rice instead. This would better exemplify the Mediterranean appeal and increase fibre. Note that Fitness Rations’ online menus are designed and portioned with a recommended pairing of carbs and fibre. Their sesame organic brown rice can be found on 3 out of the 10 dishes now. If customers would like to mix & match their sides, they can do so by letting them know on their order; so you can get the goodness of wholegrains for all your meals! The roasted root vegetables included yellow capsicum which was a little soggy, but the carrots were nice and crisp. The vegetables had a fairly subtle roasted taste; perhaps roasting it just a tinge longer for a slight caramelization may bring out this fragrance. It also has a lovely oregano taste which added a lovely herby sweetness! The dory fish was a little rubbery. It fish was cooked with lots of vegetables which may have resulted in a bit of liquid collecting. I suppose that many fish becomes watery when it is cooked, frozen and reheated, but perhaps there could be a re-look into the supplier or processes to try and drain out some of the water released before it is frozen. But what was lacking in texture was made up for in the flavour. The dory crust was very fragrant and tasted delicious like a pizza crust, with onions, green capsicum, olives, cheese and tomato. It has some cheddar cheese added for a yummy umami twist! This is a pretty low calorie meal at 484 calories. It’s also a good dose of protein at 36g, low in fat at ~3.5 teaspoons (mostly unsaturated considering it’s fish), and low in sugar at 4g. 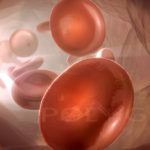 It does have a fair amount of sodium though at 2010-2311mg. Leaving the gravies behind can help reduce this! This was my absolute favourite in terms of taste! The chicken thigh was juicy and tender. Even though it was skinless and mostly lean, it did have a few bits of chicken fat (which is quite normal for thigh cuts). This made it the highest fat meal (42g, 8.5 teaspoons), but I do admit it contributed to the awesome taste. The chicken was not shy in its spiciness (the most spicy of the samples), there was a deep intensity of kimchi taste and no skimping on the kimchi portion. The kimchi tasted amazing: it’s got the works with sesame seeds, onions, chilli, spring onion, ginger and garlic!)! 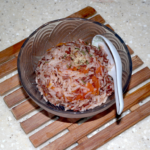 A bit on the salty side though – although this is quite typical of Korean foods in general! The Asparagus, Baby Corn & Carrot was sweet and juicy, with naturally mild flavours, lightly seasoned with fine black pepper and garlic. It was a perfect foil to the strong savoury notes of the other two sides. There was a lot of kimchi in the chicken too so there’s plenty of fibre in this meal! The Organic Sesame Brown Rice was interspersed with bits of carrots, onion and capsicum. I really enjoyed this one with the sesame oil infusion, an absolute delight! This meal was slightly higher in calories than the rest at 612 calories, although definitely still quite acceptable for most women (who aren’t looking to lose weight). Carbs were quite minimal at just 33g (~1/2 bowl rice), and the combined forces of the chicken and brown rice made it a good source of protein (49g). Fibre was quite plentiful at 6g too! Unfortunately the sodium was high at 2192-2579mg, but sugar was minimal at ~1 teaspoon. There was plenty of beef, as was evident from the generous protein portion (49g). Definitely a man pleaser! Although it was quite savoury, I would have preferred a more tomato-ey taste, or perhaps other veg like capsicum/mushrooms /lentils to increase the depth of flavours. Currently there’s mostly beef, some cubed carrots + onions and a few kidney beans. It was very mild in spiciness actually, which was ok for me. The gravy was slightly watery after being microwaved, so perhaps adding in lentils could help soak up the juices as well as increase the fibre. 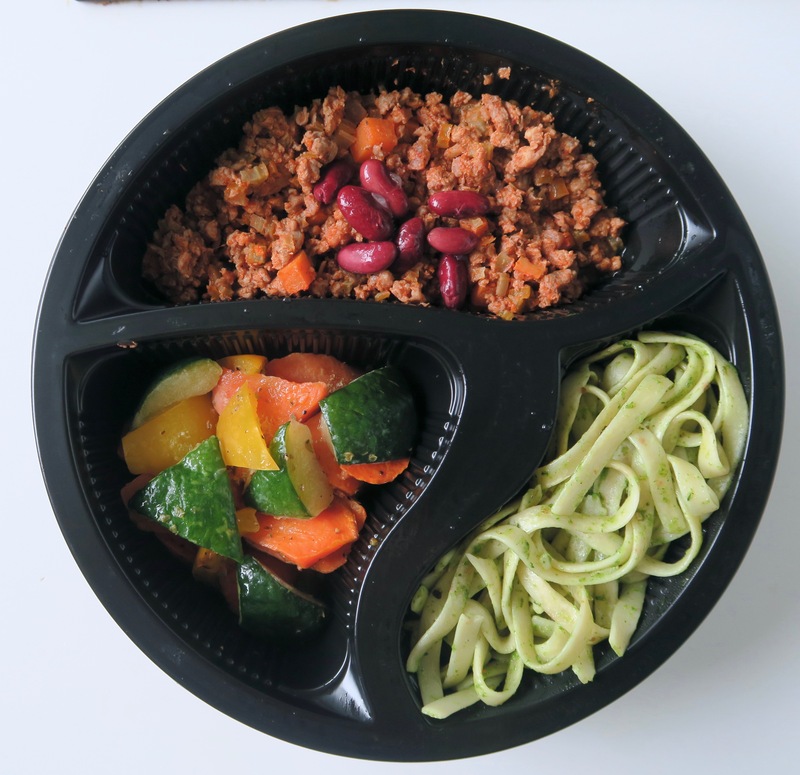 The beef mince which is 80% lean is great nutritionally, but of course with a compromise in taste (being slightly on the chewy and sinewy side). I would prefer a healthier beef than a fatty beef though, but perhaps Fitness Ration could consider looking into a better supplier of lean beef with less sinew. The natural sweet flavours of the veggies really shone through and provided a nice contrast to the saltiness of the chilli con carne. This time, the yellow capsicum was not as soggy and retained a slightly nice crisp to it. The Herb Fettuccine was nicely done to al dente which is quite a feat from Fitness Ration considering it was frozen and pre-heated! I enjoyed the strong olive oil and herby taste; it was almost like pesto without cheese. It was a good base that was not too salty and could soak up some of the beef gravy. It’s not a traditional chilli con carne and I’m not sure if the components meld together entirely perfectly. It’s certainly a bit of a fusion meal! But on their own, each component tasted good! Calorificially it fits alright into a typical day’s meal (577), and the carbs are in good portion (54g). There’s 18g (3.5 teaspoons) fat in there which is not bad considering it’s beef-based. Protein comes pretty high at 49g, and the fibre (4g) and sugar content (~1 teaspoon) is fairly good. The sodium is one of the lowest of the meals at 901-976mg. Quality Service and Response to Feedback! 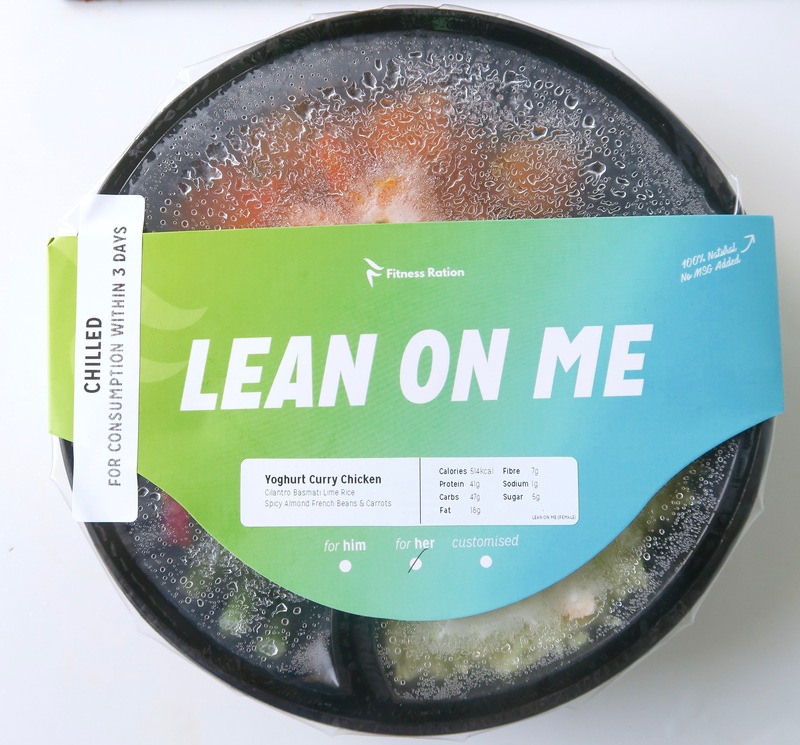 Fitness Ration’s food is all cooked by hand and so it’s expected that there would be some variation; Fitness Ration was very nice to reassure me that they very much welcome the feedback and are constantly looking to improve! For example, they are currently brainstorming ways to minimise the watery nature of the fish dishes after my feedback and will be tweaking them in the coming months. This level of customer service and receptiveness to change is something I really applaud them for! Rachel from Fitness Ration kindly informed me that they’ve improved the recipe and decided to introduce the “Spicy Taco with 80% Lean Beef” to substitute this Mexican dish! (: It’s baked instead of steamed so the minced beef will retain its moisture rather than leak it out when microwaving it. One of the bestsellers so far since it was launched in August! I was definitely impressed by Fitness Ration’s range of foods. Their boxes were delicious and fantastic nutritionally. The main thing I would watch out for is the sodium content of some of them. Other than this aspect, I’d definitely recommend it as a healthy option! Alright, so after these mouth-watering Fitness Ration reviews, you’re in for good news! Fitness Ration has kindly offered an exclusive promo code for you awesome GlycoLeap blog readers! You are entitled to 5% OFF Bundles of 5 meals. Psst! Stay tuned for more exciting news such as promotions from different healthy food vendors such as Wafuken! 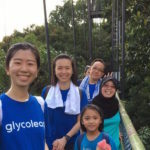 Download our GlycoLeap mobile application today! 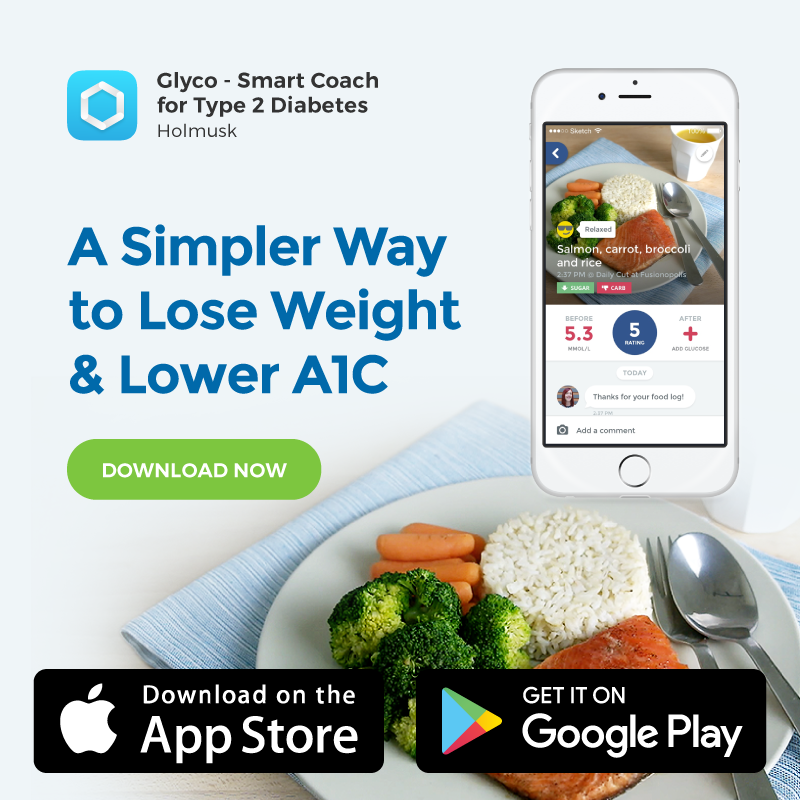 GlycoLeap is a weight and chronic disease management app that guides you in weight loss or lowering HbA1c with the help of certified dietitians. Opening hours: 9.00am – 7.00pm (Sun-Fri). Closed Sat.